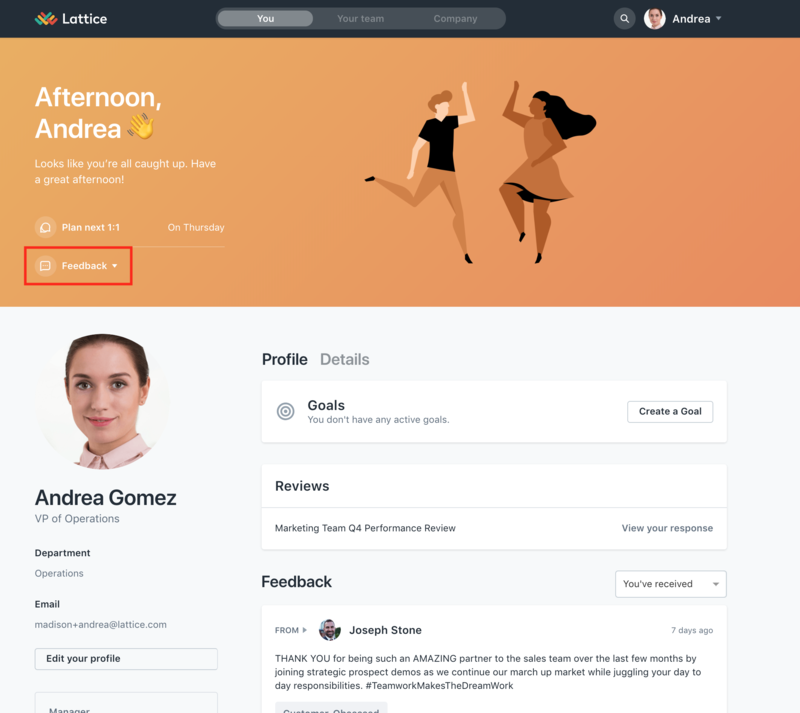 If an Admin has enabled External Feedback, you (as a Manager) will have the ability to request feedback in Lattice from clients, partners, and associates outside of your organization. 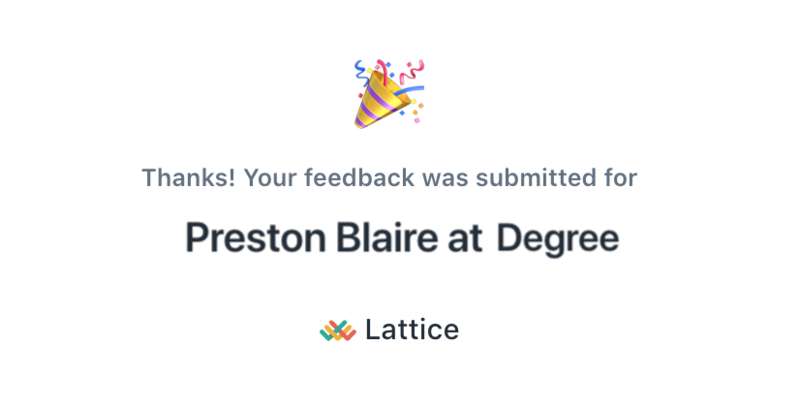 This tool can be useful if your direct report is collaborating with an individual outside of Lattice, and you would like to receive some feedback as to how they are performing. 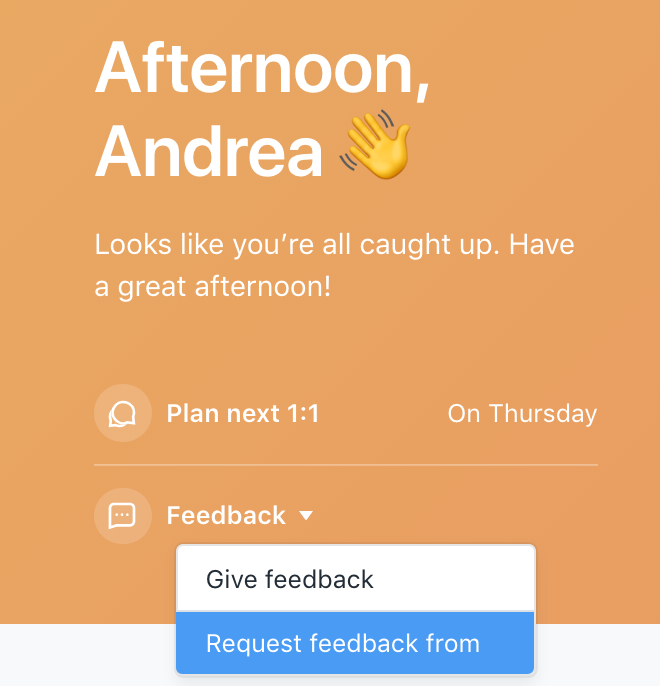 Step 1: Navigate to the Feedback pop up. 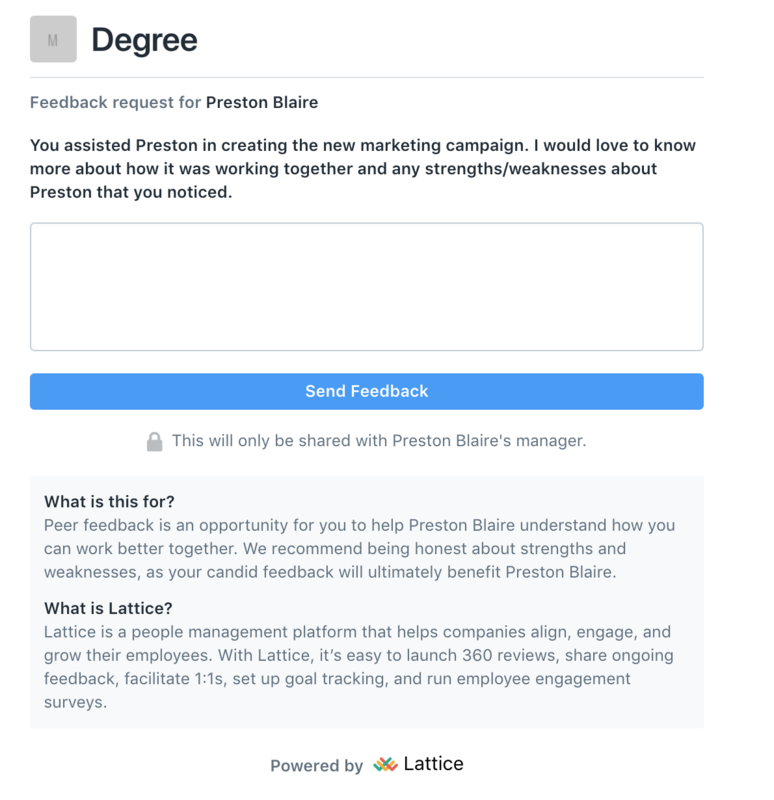 You can request feedback from many places within Lattice, such as the "You" page (shown below). 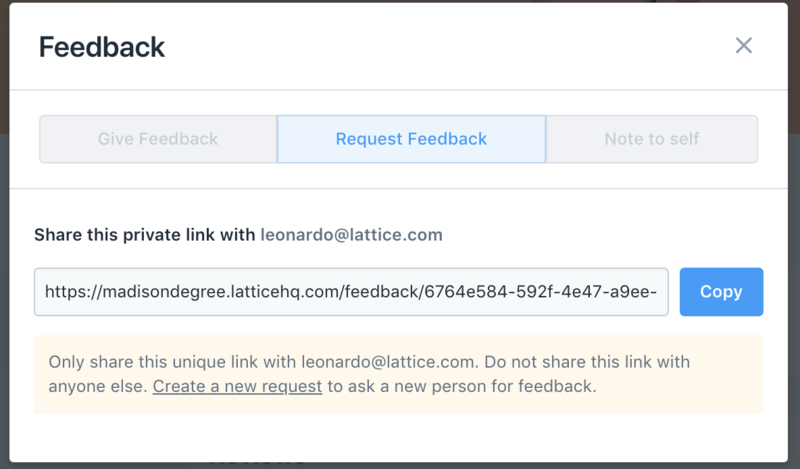 Simply click on the feedback bubble anywhere within Lattice. This can be found on the "You" page, any other employee profile, the "Your Team" page, and the "Company" page. 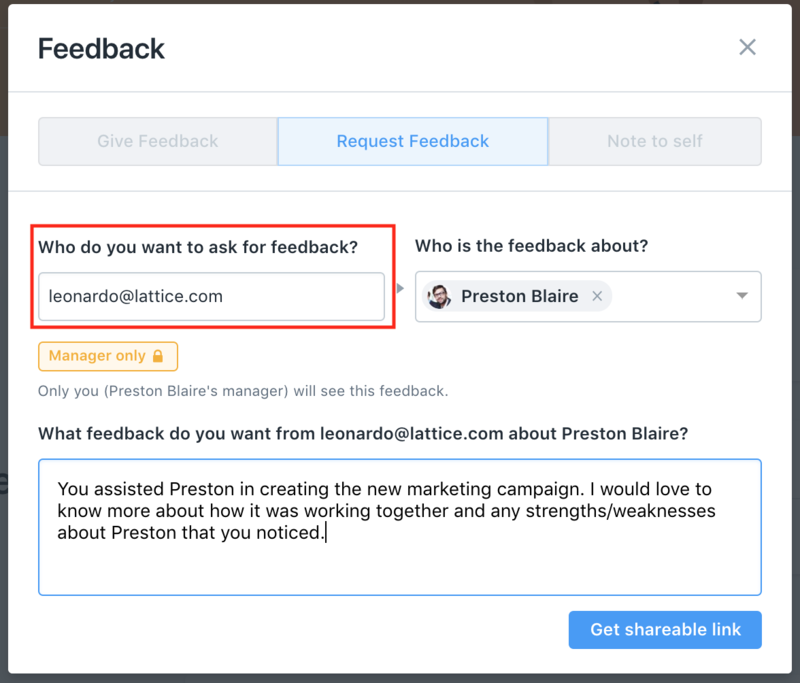 Step 2: Click on the Feedback icon, and from the drop-down menu, click "Request feedback from"
After external feedback has been given, the manager can access it by going to their "Your Team" page found in the top navigation bar. 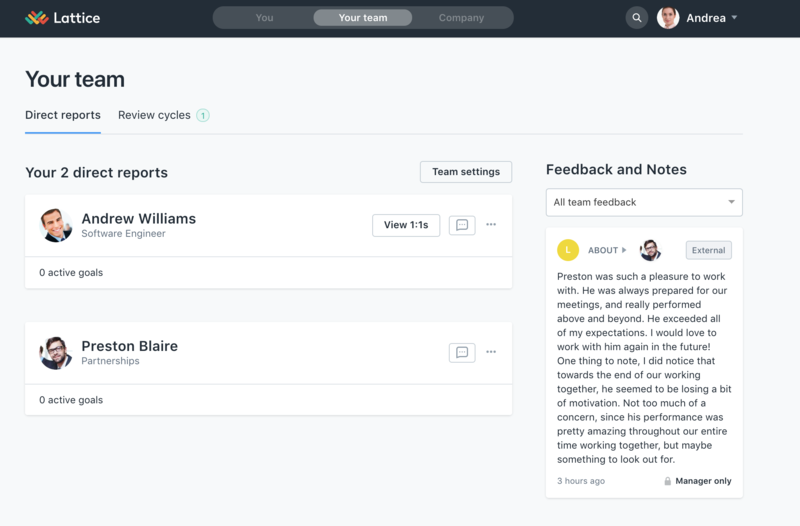 Under "Feedback and Notes" they will see all feedback (external and internal) given about their team. One of the best uses for external feedback is in review cycles! When filling out your manager template or summary, you can view all feedback given to your direct report and take that information into account (as shown below).